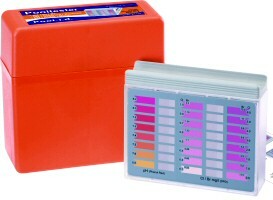 Sample the water, drop in the test tablet and compare the colour change. Comes complete in a storage box. Full instructions plus 4 FREE strips of test tablets included.